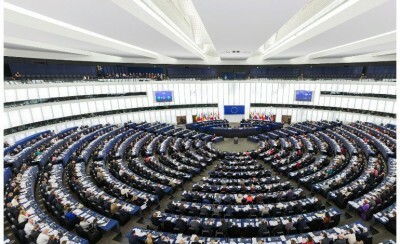 MEPs voted to stop all sale of weapons to Saudi Arabia’s despotic regime. 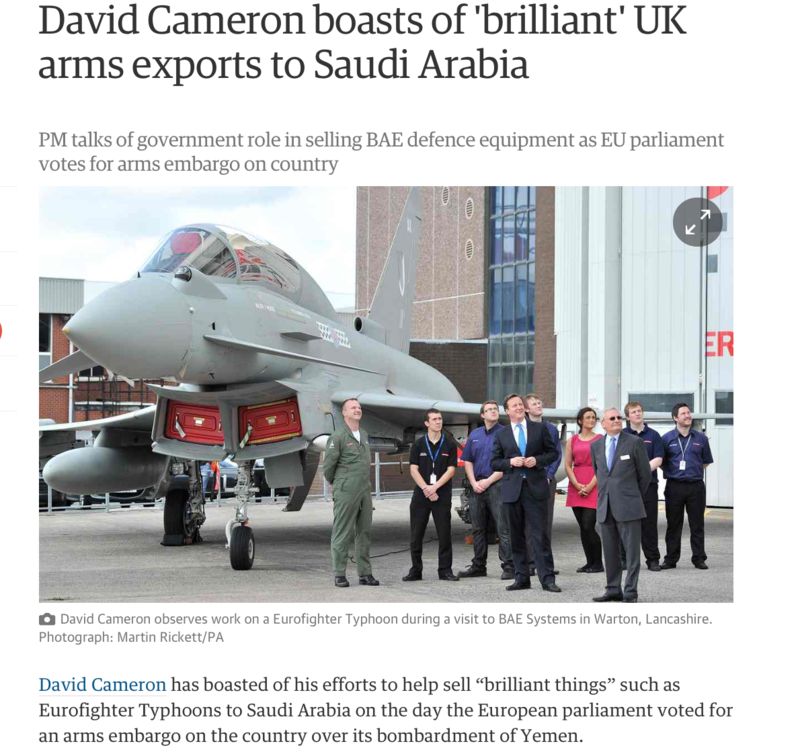 In the same week, Cameron hailed the UK’s sale of arms to Saudi Arabia as ‘brilliant.‘ The unflattering comparison is a timely reminder that a united Europe still has the power to take positive action. At the core of the EU lies a commitment to the basic principles of liberty, democracy and a respect for human rights. Germany and Sweden have both taken the economically sacrificial decision to stop all arms trading with the Saudis. It is only by standing for these principles together that the EU can send a clear message to Saudi Arabia and all undemocratic regimes in the world. Britain is just one of a number of EU member-states that continues to arm the Arab Kingdom, but is miles ahead of the rest in terms of scale. Saudi Arabia is the recipient of more British-made arms than any other state. But this EU vote could bring that situation to an end. The embargo was proposed in reaction to the Saudi’s continued air campaign against Iranian-backed Houthi rebels in Yemen, a campaign already assisted by British companies. MEPs have questioned the legality of the operation and many have also raised concerns about the alarming rate of civilian deaths, and alleged targeting of refugee camps and hospitals. Those who make these points argue that sales to regimes committing such atrocities are going against the shared values of the EU and undermine efforts to improve human rights protections globally. The EU currently imposes EU-wide arms embargos on 22 states – including Yemen. Though news of the upcoming EU vote has been largely unreported in British media, there has been widespread condemnation of UK arms sales to Saudi Arabia since the publication of a UN report on Yemen in January. Cameron stuck with the stock defence of praising Britain’s strict rules governing arms sales, but Jeremy Corbyn offered a pragmatic approach to the report’s findings. While Cameron brushed off British complicity in Saudi crimes, Corbyn called for an immediate inquiry into the issue with the suspension of arms sales pending its completion. Indeed, Labour MEPs voted in favour of the embargo. Sensible and, most importantly, effective. Although many projects aided through the European Development Fund have raised questions as to where EU values lay, this vote shows that whatever our choices on the EU – we should make them knowing there is life in the old dog yet.